Nejad Oriental Rugs proudly supports the Dementia Society of America with a donation of $1,200.00. The Dementia Society of America is a grassroots 501(c)(3) nonprofit charity with their main office located in Doylestown Bucks County PA. They are an all-volunteer organization providing hope through education about Dementia and helping people who live with Dementia continue to live meaningful lives as well as supporting their care partners. Behind heart disease and stroke, Dementia is thought to be the 3rdleading cause of death in high-income countries. Approximately 9 million Americans live with some form of Dementia today with Alzheimer’s representing more than half of these cases. 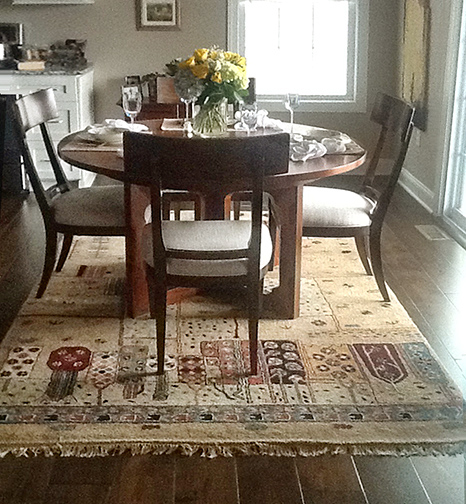 rug 10′ x 14′ in Elkins Park PA modern residence. styles ranging from traditional to contemporary. 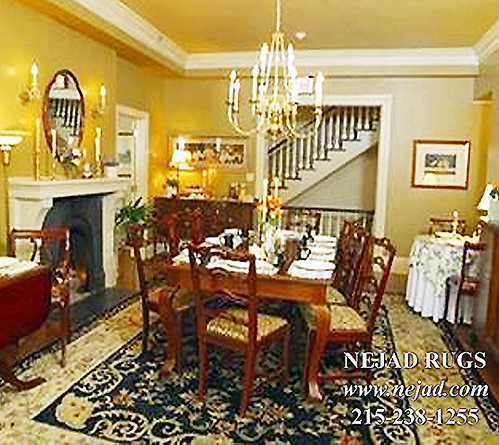 beautiful banquet sized dining room in historic New Hope, Bucks County, PA.
selection and savings – call Nejad at 215-348-1255.
kindergarten from using the educational apps. Students who were a behavioral challenge love using the kindles as a reward. comfortable with writing on paper soon. subtract. Some students are ready to read stories on the Kindle. 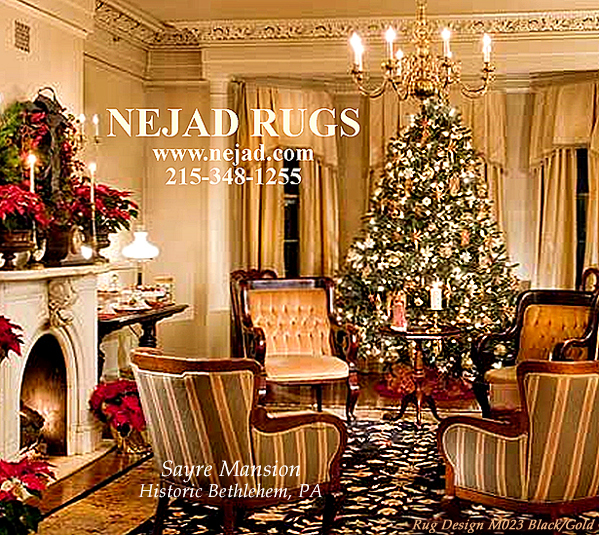 Nejad Rugs has been contracted by a prominent Bucks County PA businessman to wash and repair 40 smoke damaged Oriental Rugs. 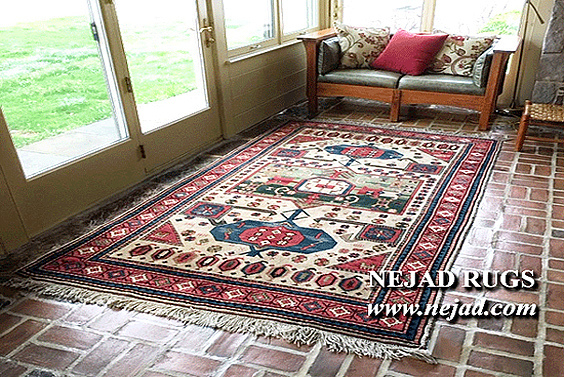 The client, working with his insurance company, trusts Nejad Rugs’ 31 years of experience to expertly service his rugs. each damaged textile can vary depending upon the extent and type of damage. if at all – for a short time only. Washing, as the first course of action, is also ill-advised as that would only result in spreading soot both into the rug pile as well as smudging the surface. 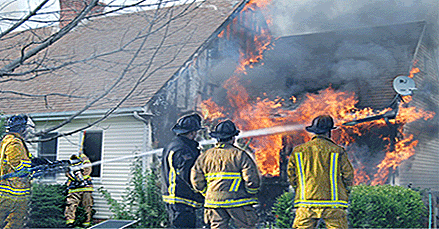 Fire-related soot and smoke damage to oriental rugs may be repairable. 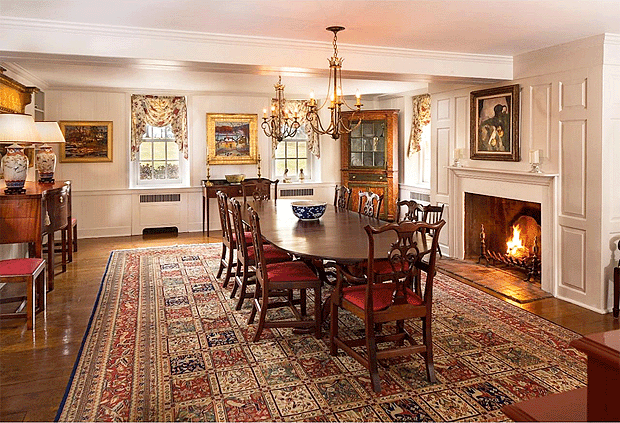 Contact a professional fire restorer and rug restoration service for an expert appraisal. Money, time and your rugs can best be saved by contacting a professional fire restorer and rug restoration service as soon as possible after any damage has been incurred – this information usually available through your home insurance agent. 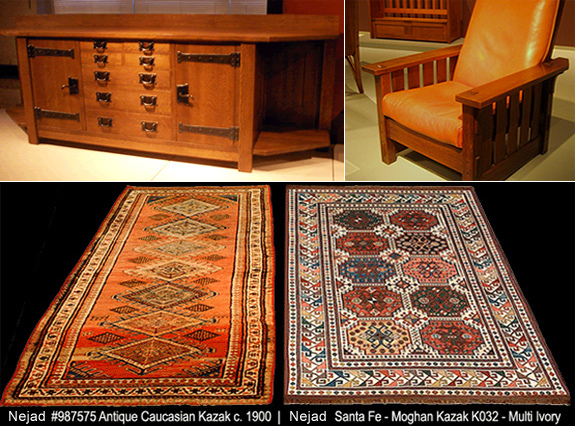 If you need immediate assistance or have any questions please call Nejad Rugs in Doylestown at 215-348-1255. 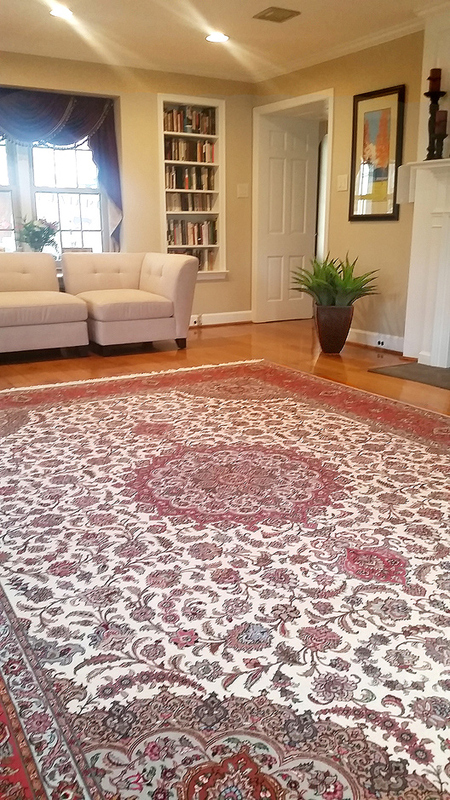 Nejad Rugs of Doylestown has donated a beautiful handmade 5′ x 8′ area rug designed by Theresa Nejad for the Habitat for Humanity of Bucks County’s signature event – Hard Hats & High Heels – held in recognition of the generous support of community volunteers and supporters. 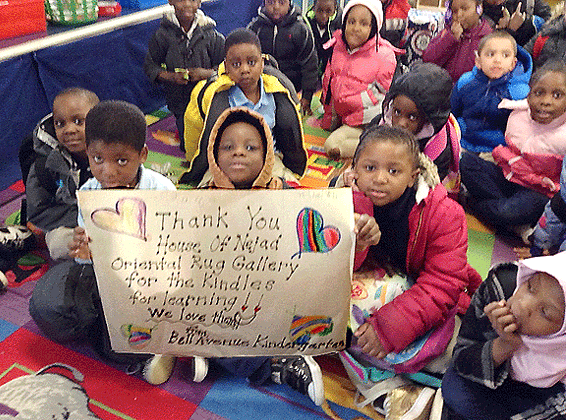 “Habitat Bucks is only successful because of the partnerships that we have forme over our 26 year history. The people who received awards on Friday night are among our most important partners, and all play a significant role in helping low-income, Bucks County families find affordable housing,” said Florence Kawoczka, Executive Director of Habitat for Humanity of Bucks County. to serve people in need of decent housing. Wood tones, simple lines, relaxed designs, rustic, durable, timeless … Stickley Furniture. Using superior construction techniques and the highest quality materials, the Stickley name has been synonymous with excellence in the furniture industry for over a century. strong and long-lasting, and perfect for the new ways American families wanted to live. Craftsman style home, was “Honesty of Design” – a value promoted by Stickley in his monthly magazine, The Craftsman, in which he offered a new house plan in every issue. Craftsman style homes built in (left) the eastern US and (right) western US. as the native Americans in the Southwest. 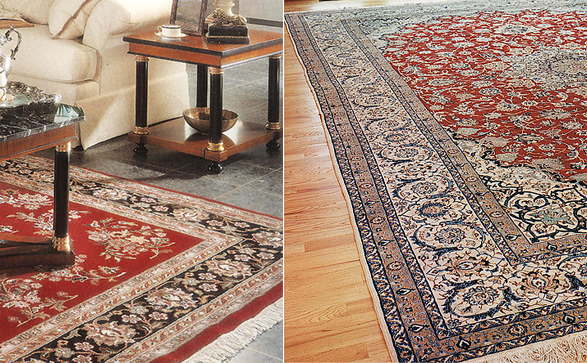 Our rugs go well with any type of tile, hardwood or natural substrate flooring. The Craftsman house is, arguably, a unique structure – artisan-constructed, architect-designed – using natural materials with design features conforming to the environmental surroundings. The interior spaces of these early 20th century homes typically resonated with simple, beautiful, functional, harmonious, hand-crafted, high quality, and durable amenities: from furniture to built-in woodwork to doors and windows, fireplaces and stonework to fabrics and textiles, wallpaper to rugs and tapestries. A Nejad classic design hand woven area rug offers the perfect embellishment for your tile and hardwood floors! 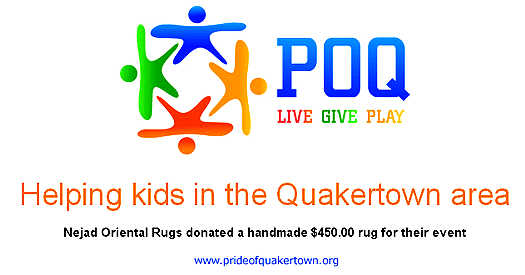 Nejad Oriental Rugs has donated a handmade $450.00 rug for Pride of Quakertown’s fund-raising event. Pride of Quakertown is a local charitable organization helping children and families in Quakertown, PA. The Sayre Mansion was the first house built in the wealthy neighborhood called Fountain Hill in Bethlehem – more than a hundred years ago. Not only did Robert Heysham Sayre – chief engineer of the Lehigh Valley Railroad – build the Sayre Mansion, but he also founded the Fountain Hill Opera House and assisted in the building of the Bethlehem Iron Works, which later would become Bethlehem Steel. Bethlehem, PA – there are more than 50 different holiday events and attractions to explore in Christmas City USA! bus tours and walking tours – there is even a “Live Advent Calendar” – provide visitors a traditional, enriching holiday experience – the authentically-costumed guides leading the way to the museums and historically-preserved houses decorated as they would have been by the Moravians who occupied them in the 17 and 1800’s.